Thirty Oregon Wines in Thirty Days, Day 15! We ballin’. | the wine snob. Thirty Oregon Wines in Thirty Days, Day 15! We ballin’. We’re high rollin’ tonight, people. This is a somewhat special bottle that my roommate has generously donated… shared… for the use of my project. I first had a bottle of this wine about 8 weeks ago during my first month here. I was floored, to say the least. I didn’t know Sauvignon Blanc of this quality was to be found in the Willamette Valley. Even if it weren’t for the rare/small-production factor, this wine is still slammin’. 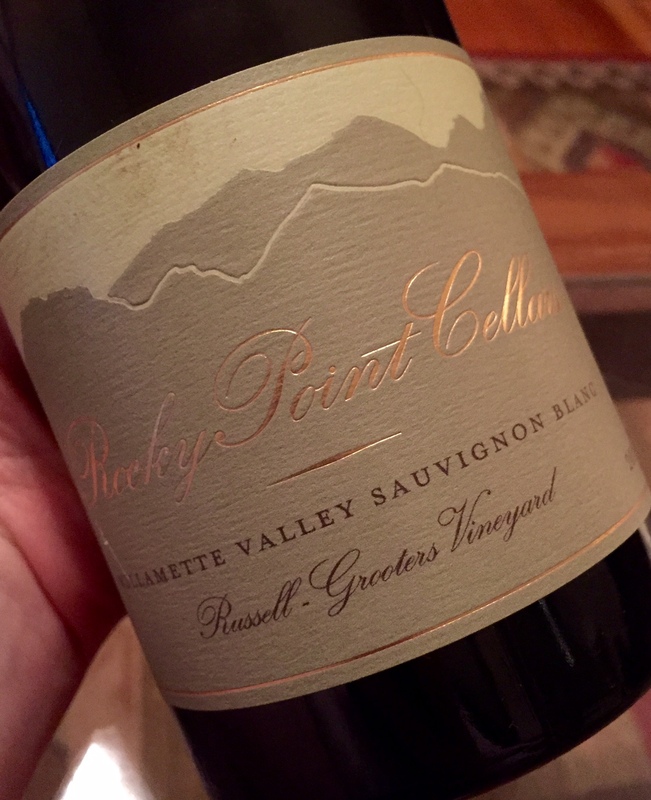 So without further adieu, the Rocky Point Cellars Sauvignon Blanc, 2013 Willamette Valley, Russell-Grooters Vineyard. The vineyard site is located not too far from my humble abode here in Yamhill-Carlton. The wine is made by Drew Voit, who is a consulting winemaker on many-a-project, and also makes one of my favorite Willamette Pinot Blancs under his own label, Harper Voit. Owner Amy Lee has implemented a unique barrel program with this family of wines, some stemming from Washington State and some from Oregon. This particular bottle was barrel-fermented in two different barrels (yup, this is a two-barrel production wine), with slightly different seasoning. The oaking in here is really nuts- absolutely gorgeous, layered and somewhat unexpected. This wine is tropical- like a girl in a bikini. Passionfruit, mango, kiwi, coconut and mad honeydew. But just when you think its a total slutty fruit-bomb, this really beautiful spice component comes in- fun notes of coriander and fennel, along with some creamy vanilla. It all sounds like a menagerie of contrasts, but they work together like a symphony- I swear it. The really profound thing about this wine is this: if you were at a tasting room in Napa, and were poured this alongside some $50-$75 a bottle single vineyard Cabernets, it would fit right in, in terms of its class and elegance. 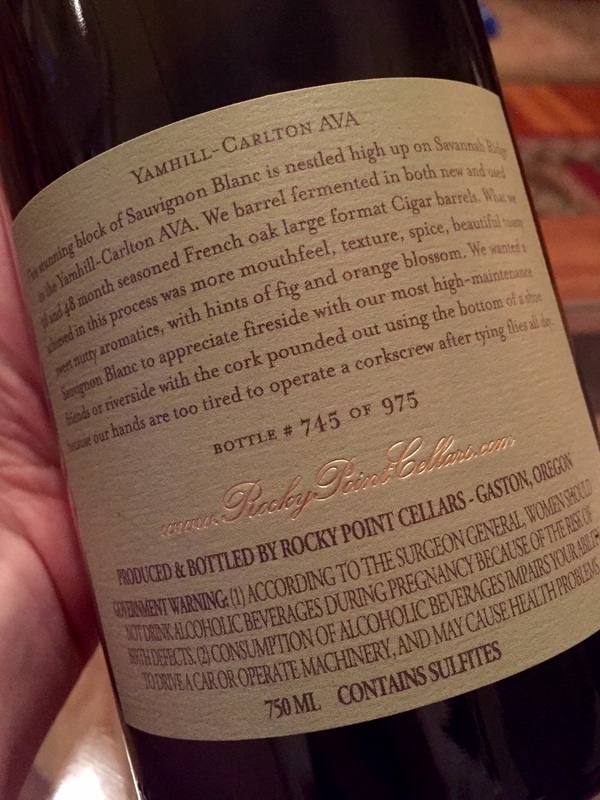 But what a fun surprise that this wine is from the freaking Yamhill-Carlton district of the Willamette Valley?! I love it. Love. It. So, this post is a little bit of a tease, as this wine is not yet released, and I can’t even really tell you where to look for it when it is released. But I do suggest keeping an eye on the Rocky Point website for more info. Suggested retail on this wine will be in the $40 range. Treat yourselves! ← Thirty Oregon Wines in Thirty Days, Day 14! Let’s Evolve.